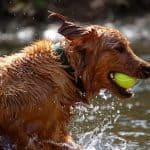 Most people go to online forums to ask questions like “why is my dog chewing his paws raw?” or “my dog won’t stop licking his paws, what should I do”? Others ask, “My dog has a yeast infection on his paws, what should I do”? 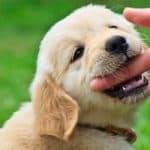 This article will highlight why dogs lick their paws, what is normal and what isn’t. 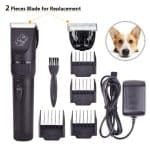 As well as how to stop your dog from licking his paws. 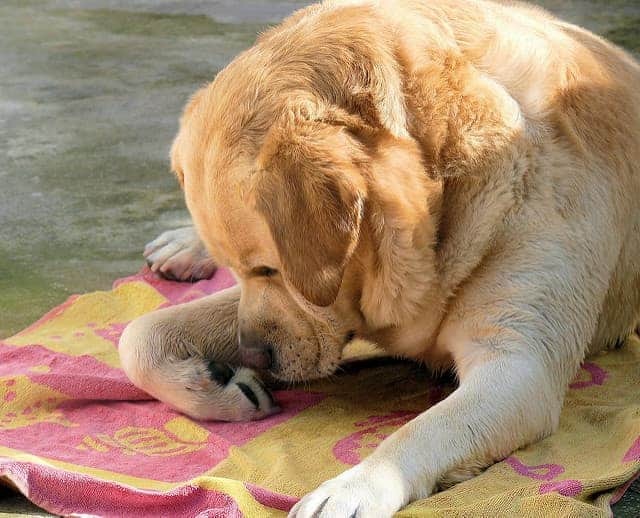 Dogs, like many other animals, spend time grooming themselves daily. So it is not abnormal when a dog licks his paws. However, constant licking, and biting until the paws start to bleed is unusual. Dogs lick and chew on their paws because of a reaction to their food. They are carnivores and eat diets that may not consist of meat. Some foods are heat processed, and all these factors contribute to paw licking. This factor contributes to paw licking through a yeast infection. Every animal and even humans have yeast in their gut tract. The yeast remains limited when the immune system is in great shape. Yeast eats sugars such as grains and carbs when converted by the body. Your dog’s diet must consist of meaty bones and meat. This ingredient is vital for optimum health. Some dog foods don’t contain these ingredients. Your dog’s immune system requires more than heat processed food or an improper homemade diet. This makes the yeast increase in number and causes intense itching. The dog licks his paws to soothe the itching. Are the paws swollen, red or flaky? This may be caused by a local irritant like deicer during winter. It may also be caused by inflammation from fungal, bacterial or parasitic sources. When the irritating agent is no longer visible, the dog may continue to chew and lick due to trauma. This will trigger a condition called pyotraumatic dermatitis. Is the itching caused by infection, allergy or something else? Itching can be caused by food allergies as well as inhalant allergies. These allergies cause general itchiness. Grass awns and other foreign bodies can also cause infection of the paw. Another cause of pain in the paw without a visible infection is arthritis. This could lead to licking. Growths, cysts or abscesses can also cause discomfort and licking. Check the paws to rule out this possibility. If you still cannot find any signs and the dog continues to lick his paws, it could be a behavioral problem. This could be a habit that is formed when your dog is stressed, relaxed, or even bored. Other dogs may prefer to chew their nails if they have formed this habit. Based on your vet’s finding during examination, the treatment to fix the behavioral problem will be targeted at the root. For cases of infection or allergy, the vet can prescribe medications as well as dietary changes to help fix the problem. The most common cause of chewing or licking is a yeast infection. Most times, it is accompanied by stinky skin, ear issues, and weight issues. 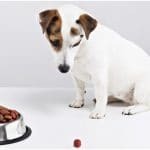 This is because the food is laced with fillers and carbs that change the dog’s pH. While searching for a solution to the problem, change the dog’s diet as well. Before you try anything, look at the pet’s paw and check for scrapes and cuts. Look out for stickers, glass or any other foreign objects that could be stuck in the paw. These objects can irritate the dog. Pull the fur back and examine the hollow areas behind the toes. This area can harbor stickers and is a comfortable spot for ticks to thrive. Cleaning your pet’s paw daily can help remove the allergens on the paw. To do this, fill a bowl with some lukewarm water and povidone-iodine until it resembles iced tea. Dip the paws one after the other in the solution for about 5 minutes. Clean the feet with a towel and it’s done. This can be done once daily. When you suspect that the dog licks his paws out of boredom, use a distraction. Offer him a toy, some attention or a treat whenever he enters licking mode. Ensure that the dog gets lots of exercise. You can use interactive toys when you’re not available to play with him. Toys that have treats will be better for such occasions. You can use some ointment to soothe your dog’s paw especially when the paw is cracked and dry, or there’s an abrasion or cut. Get a triple-antibiotic ointment for this purpose. Place a bandage over the ointment after applying it and distract the dog, so he doesn’t rip it off. Food allergies often show in the skin, and such low-quality diets give your pet dry and itchy skin. This can also cause licking. It may be difficult to detect a food allergy, so you need to see a vet. However, if you suspect that the food is affecting the dog, change it to a high-quality diet. One that doesn’t contain known allergens like corn, soy, wheat or chicken. 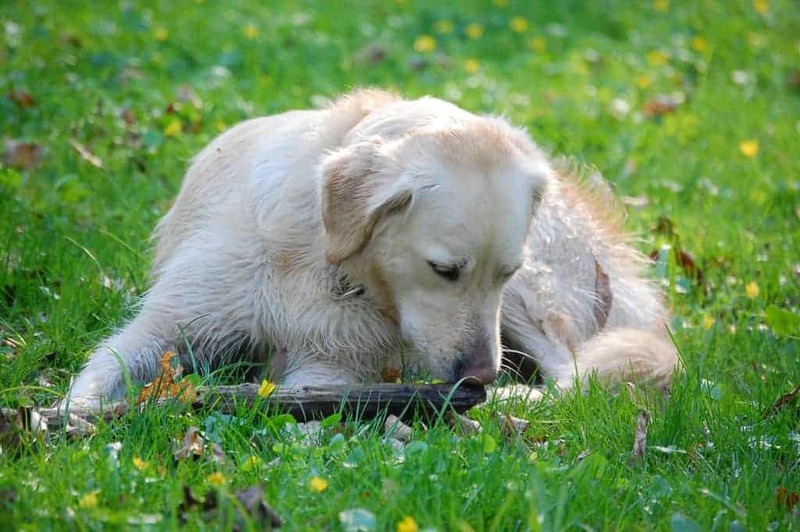 Ticks, fleas, and mites are also culprits when it comes to paw chewing and licking. Dogs could itch everywhere on their body, but a tick infestation can lead to excessive paw licking and chewing. To solve this problem, give the pet a flea bath using a spot-on solution or powder. When you do this, treat the living and bedding area as well as any other part of the house where the dog rests. This will prevent re-infestation after treating the problem. To fix your dog’s paw licking problem, you need to examine the paw and determine the best course of action to take. Consult your vet if you aren’t sure about how to do this.